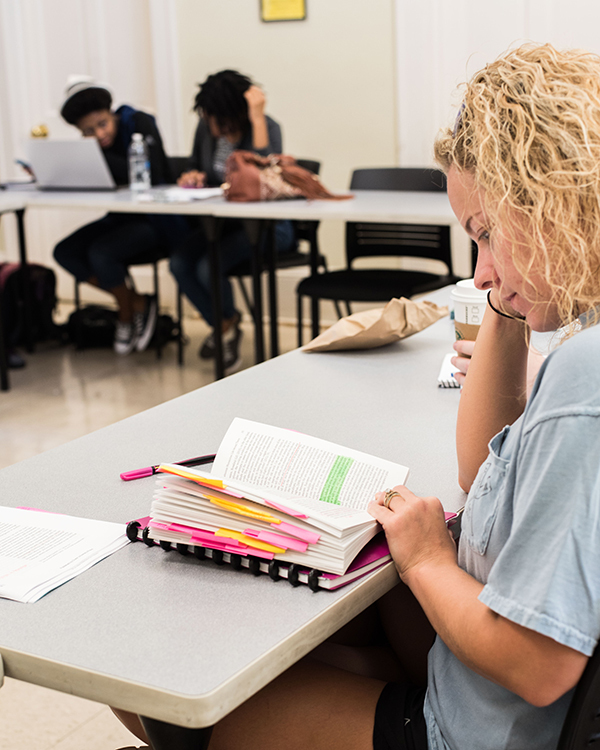 In addition to the Master of Arts degree, the Department of Gender and Race Studies offers a Graduate Certificate to students outside the department who seek to develop interdisciplinary expertise in the study of women and gender. The certificate answers a need for many graduate students whose departments require them to minor in a secondary specialty. This certificate program is aimed at enhancing any master’s or doctoral program through the mapping of an individual plan of study and research. The certificate provides students with core knowledge of the field of Women’s Studies, and it allows students to research and develop an additional expertise in an individualized program of study. Increasingly, scholarship on women and gender has come to occupy a significant place in the disciplines and professional associations. Students who develop an expertise in this desirable area of specialization become more attractive candidates in the professional job market. The certificate is tangible evidence of proficiency in an area of Women’s Studies — such as feminist theory; gender, race, and class; or film and feminism — and in the interdisciplinary method of Women’s Studies. Upon completion of the certificate program, which is described below, Gender and Race Studies will provide students with a letter and certificate. These will provide tangible evidence of a background in Women’s Studies, feminist theory, and interdisciplinary research methods. Students must submit a letter of intent and a proposed plan of study to the Director of Graduate Studies in the Department of Gender and Race Studies. The letter of intent and plan of study will be reviewed by a core faculty member and approved by the Chair and the Director of Graduate Studies. If the proposed Plan of Study requires revision, the prospective student will consult with the Director of Graduate Studies to receive feedback, then resubmit the revised document for approval. Students must be currently accepted and enrolled in a graduate program other than Women’s Studies at the University of Alabama. Students will be required to demonstrate advanced research in the field of Women’s Studies. Examples of the research projects are the application of theoretical concepts and perspectives learned in coursework in their dissertation (i.e., in thesis prospectus, introduction, or chapter), or in three seminar papers. Students who complete the WS graduate certificate and subsequently decide to pursue the M.A. in Women’s Studies will be permitted to use 9 credit hours (6 core hours, 3 electives) earned for the certificate toward the M.A. requirements.